Previously, it was taught here on how to install and run PHP applications on windows IIS web server via ISAPI module. As discussed before, implementation of ISAPI ("Internet Server Application Programming Interface") on IIS has some disadvantages particularly the threading issue on which some popular extensions to PHP are not thread-safe, thus could cause server instability. FastCGI allows the host CGI process to remain alive after one request finishes so that the process may be reused for another request giving out good performance and stability. 1. 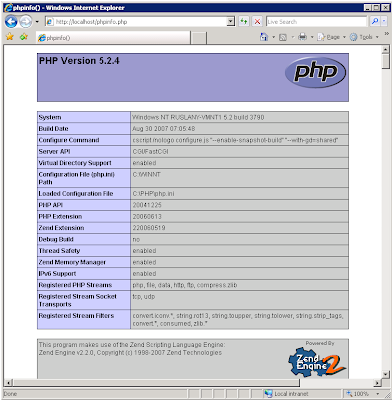 Download the php Windows binaries in zip package on http://www.php.net/downloads.php. It is recommended to use the zip package because it includes greater functionality and extensions. 3. Download the FastCGI extension thru http://www.iis.net/extensions/fastcgi. Select the proper file depending on your machine architecture. On this tutorial, we will be downloading th X86 package. 4. You will be ask to download "fcgisetup32.msi". 5. Double click the installer and a welcome screen will be prompted. Click Next. 6. An End-User License Agreement will follow. Put a check mark to accept. Click Next. 7. Click Install to being the installation process. 8. A successful install will look similar on the diagram below. Click Finish to close. 9. Configure the FastCGI extension to work with PHP. The configuration script with the name "fcgconfig.js" is provided with the installation of FastCGI extension and can be found in %WINDIR%\system32\inetsrv. c:\> cscript fcgiconfig.js -add -section:"PHP" -extension:php -path:"C:\PHP\php-cgi.exe"
10. 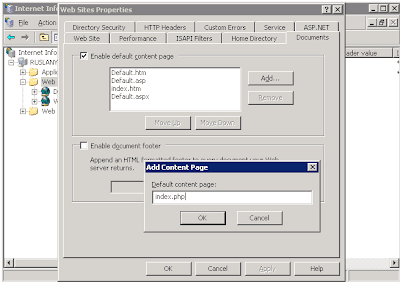 Create script mappings on the IIS for your PHP extension. b. Double click the machine name, and under Websites, look for the website name. Right click then click Properties. 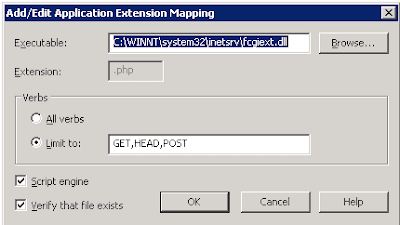 e. Browse the fcgiext.dll located in %WINDIR%\system32\inetsrv. 12. It is now ready to serve php applications. You can test it by creating a phpinfo.php file.